American photographer, Dorothea Lange, is a giant in the history of photography. Best known for her famous image titled Migrant Mother, made as a consequence of the Farm Security Act (FSA) in 1936. The pond surrounded by houses in the centre of the idyllic village of Hongcun in Anhui Province, China. Due to limited opportunities and a radically different social/economic structure few women at that time were able to work in creative fields like photography. For Dorothea Lange to have produced such a large body of work, including a number of absolute classics, is an incredible achievement. The history of photography owes much to the work of Dorothea Lange and other FSA photographers such as Walker Evans. The camera helps us see much of the beauty of our world in a way that we might otherwise not be able to. The world around us is huge. The camera helps us slice that world up into smaller pieces and into individual moments in time, usually within a fraction of a second. As creative beings, it’s our choice of lens, camera format, framing, etc., that helps determine what slice we deal with. By taking a creative approach to our photography we learn how to perceive and experience these moments, both with and without the camera. So a walk in the park or down a city street becomes an experience that goes far beyond the notion of capturing an image which, from my way of thinking, is a pretty negative (no pun intended) term. 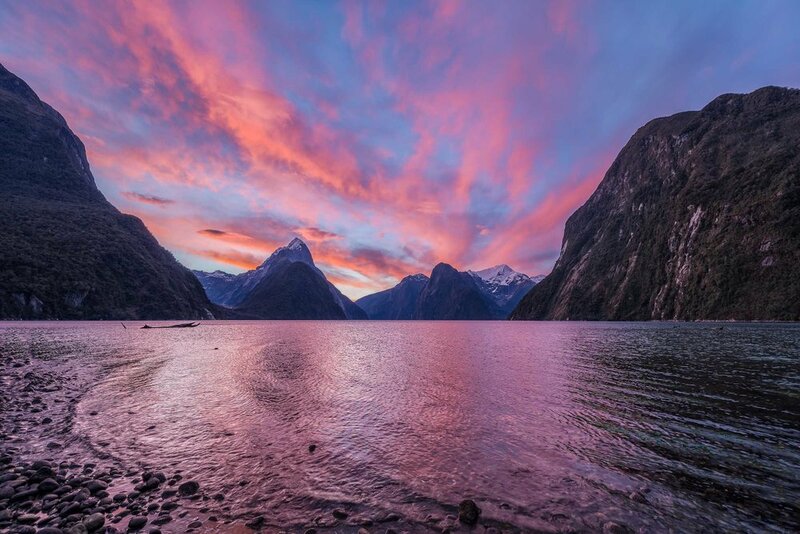 A spectacular afterglow illuminates the sky above Mitre Peak and surrounding mountains on Milford Sound, Fiordland, New Zealand. Photographers, as artists, are visual people. But to live the life of a photographic artist it's necessary to practice the discipline by making pictures, both with the camera and, for those who desire to take their craft further, on the desktop. Photography helps us see and feel the world as it unfolds around us and, by doing so, better appreciate it. Once in this zone the photographer no longer needs a camera to make this connection. The camera now becomes the vehicle by which we record how we feel about that experience. It's my view that, like meditation and religious practice, the camera is a tool to get us into the zone and to help distill and share that experience with others. It’s in this way that I believe photography can save the world, one photo at a time.